Performance Corner News – Page 107 – Driving home the latest industry news, product releases, and program announcements. 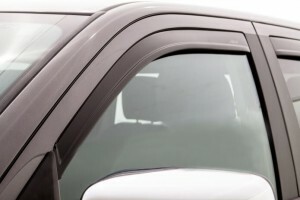 If you’ve been thinking about adding a Diesel Fan or Radiator/Fan combination product* from Flex-a-lite to your truck, now’s the time. 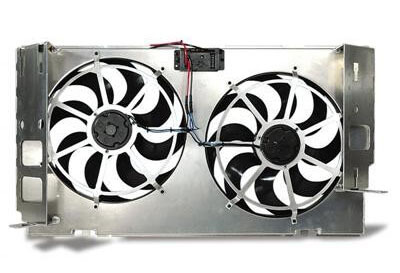 Purchase an eligible Diesel Fan or Radiator/Fan product between February 1 and March 31, 2015. Complete the rebate form and submit it along with a clear copy of the original receipt and the original UPC symbol from the product packaging. Get your rebate check within 6–8 weeks—that’s it! Stop into your local Performance Corner retailer to grab your eligible Flex-a-lite fan and get cranking on your rebate. Or find your closest affiliated store using our dealer locator. If you are a performance aftermarket accessory retailer who would like to become part of the nationwide Performance Corner network, please join us today! 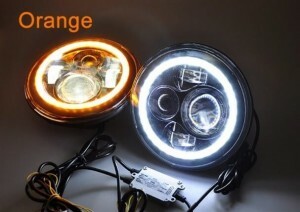 <p>If you’ve been thinking about adding a Diesel Fan or Radiator/Fan combination product* from Flex-a-lite to your truck, now’s the time. 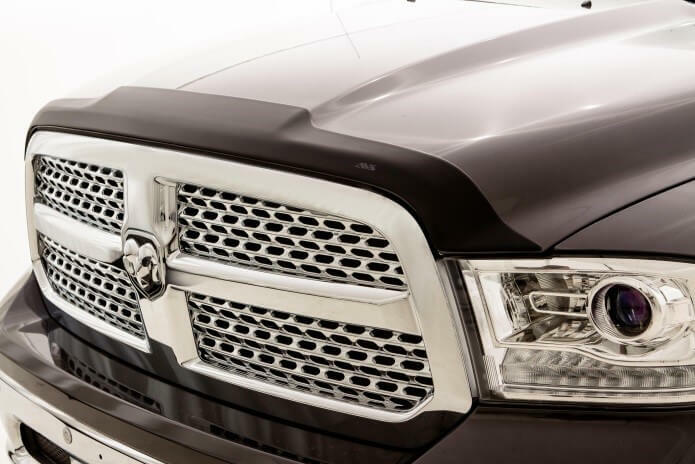 Yet again, Centerforce has come through in the clutch—and this time, Dodge Ram gets to feel the love. 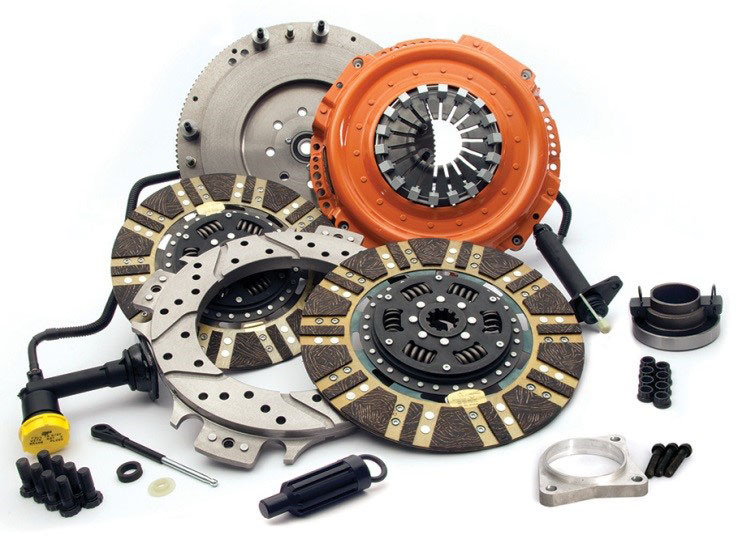 The next level in high-performance, multi-disc clutch systems, Centerforce recently introduced a Diesel Twin Clutch Assembly (04026651) for 2005.5–2013 Dodge Ram 2500, 3500 5.9L, and 6.7L six-cylinder Cummins Turbo Diesel. The new Centerforce Diesel Twin Clutch Assembly has been developed for truck owners pushing power levels up to 1,700 ft-lbs. 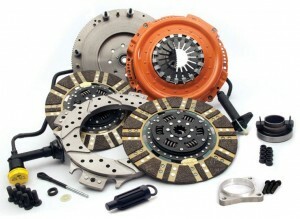 Drivers will enjoy the smooth engagement and quiet operation this unique clutch set offers, thanks to Centerforce’s patent-pending anti-rattle design, which quiets traditional floater noise. Easy setup: no adjustment required! Stop into your local Performance Corner retailer to pick up the new Diesel Twin Clutch Assembly Combo Pack, or find a local affiliated store using our dealer locator. If you are an automotive aftermarket accessory retailer who would like to become part of the nationwide Performance Corner network, please join us today! The 2014-2015 Chevy Corvette is a pretty remarkable machine fresh out of the factory: a 460-horsepower engine, capable of getting you up to 60 mph in just 3.8 seconds, still manages to get you a respectable-for-the-pop 29 highway miles per gallon. Despite those impressive specs, K&N has managed to help you get even more out of it. With its cold air intake for the new 6.2L Corvette, K&N guarantees more horsepower and torque by replacing the restrictive factory air filter box and accordion hose with a free-flowing, high-density polyethylene air intake tube that minimizes restriction and increases airflow to the engine. 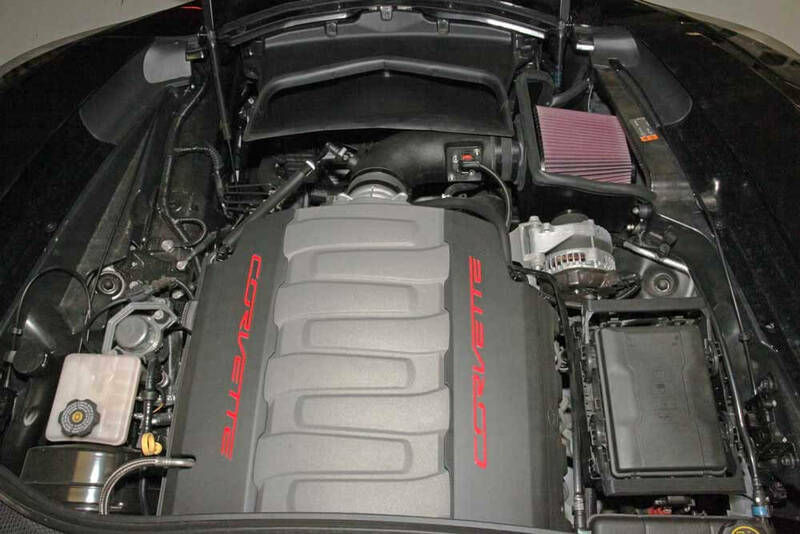 Dyno tests showed 12.51 more horses on average at 4,998 RPM and an extra 16.63 lb-ft of torque at 4,004 RPM. 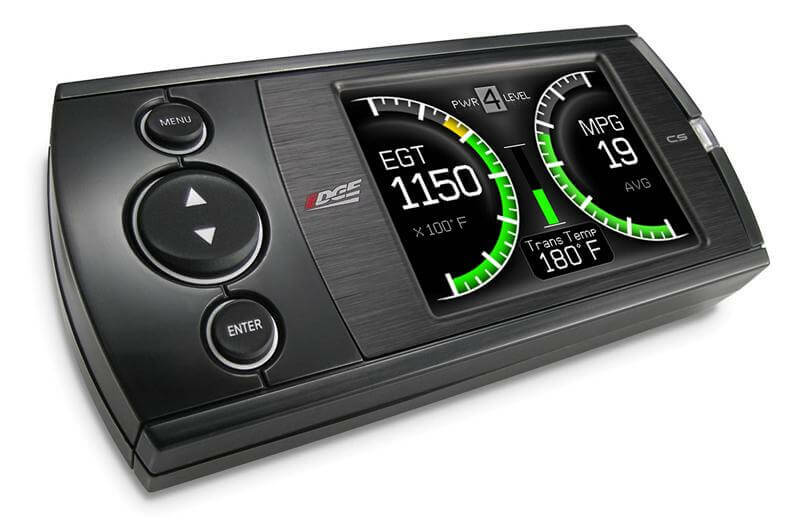 Merge it, pass it, punch it: you’ll enjoy a boost across your Vette’s entire RPM range. 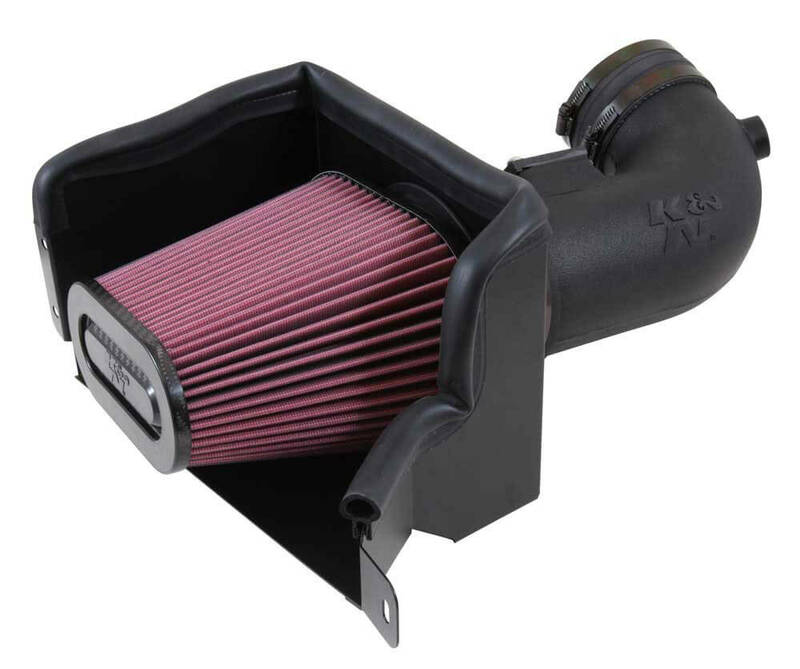 The 63-3081 is married to one of K&N’s high-flow carbon-fiber air filters, which is washable and reusable and capable of going as far as 100K miles between cleanings (depending on driving conditions). Stop into your local Performance Corner retailer to pick up K&N’s new cold air intake for the Corvette C7 yourself, or find a local affiliated store using our dealer locator. 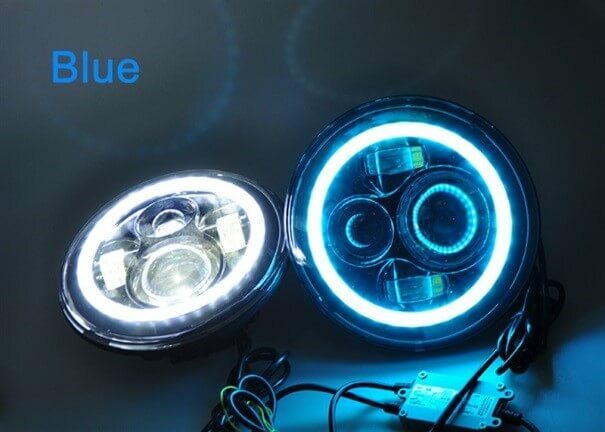 Stop into your local Performance Corner retailer to check out Race Sport’s new HALO headlights for yourself, or find a local affiliated store using our dealer locator. Stop into your local Performance Corner retailer to check out AVS’s new Combo Pack for yourself, or find a local affiliated store using our dealer locator. Added to existing oil to clean varnish and sludge before draining existing oil. As a temporary oil fill to clean varnish and sludge from equipment before refilling with new Royal Purple oil. As a temporary oil fill for cleaning and flushing a polyglycol oil that is incompatible with the new oil to be used. It is best to first drain the existing engine coolant, then pour in a bottle or two of Royal Flush and fill with water. Existing coolant should be drained into containers and disposed of properly (it is not suitable for release into the environment). Once the mix is in-system, the engine should be started and allowed to run for at least 5 minutes after the thermostat has opened (about 15–20 minutes for most vehicles)—the longer the better. Particularly contaminated systems may benefit from running all day with this mix. Assuming no freeze/boilover protection is required, the system can safely drive for a day on the mix. 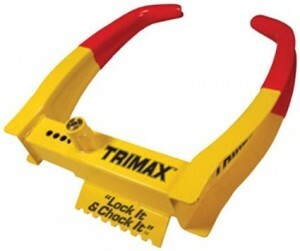 Concerning the removal of stop-leak products: Effectiveness will depend on the type of stop-leak used, how long it has been in the system, and how it was dosed. Royal Flush will not remove inorganic stop-leak products (those containing silicon, aluminum, copper, etc.). Royal Flush will not harm your system—no matter how much you use. Though the formula also poses very low risk to the user, we nonetheless recommend that it be treated with respect and handled as little as possible. 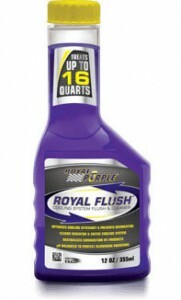 Stop into your local Performance Corner retailer to check out the new Royal Flush oil circulation system cleaner from Royal Purple today! Design Engineering, Inc., recently released two new products—a Jeep Header Wrap Kit and additional thicknesses for the company’s Boom Mat—sure to please performance enthusiasts looking for the best finishing touches for their rides. 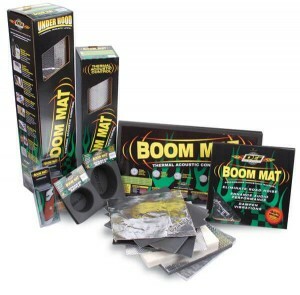 The American-made components withstand temperatures up to 1,350 degrees and resist many hazards of the engine bay, including solvents, oils, fuel, acids, and chemical spills. Next are two new thicknesses for DEI’s Boom Mat, which dampens sound on the most extreme commercial and sound-competition applications. 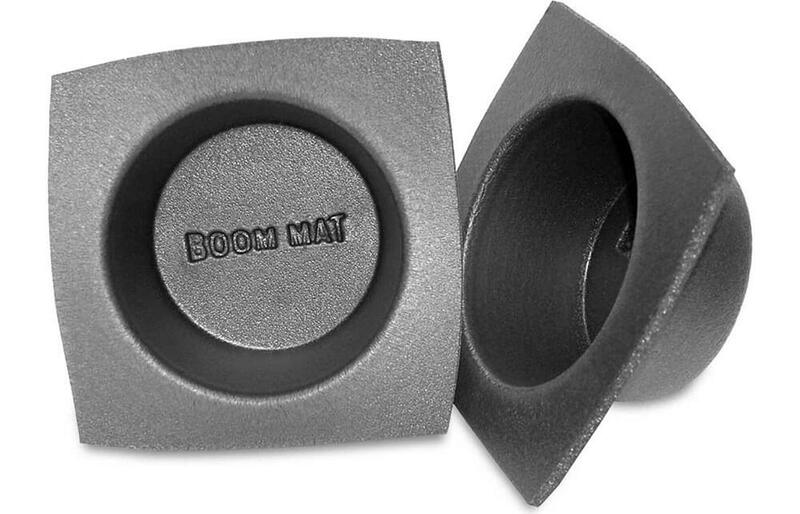 The new 2mm (33% thicker) and 4mm (166% thicker) versions combine aluminum-stiffened top skins with asphalt-free, pure-butyl, noise-constraining layers to control noise generated by vibrating interior panels—including in the most high-temperature situations. Stop into your local Performance Corner retailer to check out the new Jeep Wrap Header Kit and Boom Mat products from Design Engineering, Inc., today! <p>Design Engineering, Inc., recently released two new products—a Jeep Header Wrap Kit and additional thicknesses for the company’s Boom Mat—sure to please performance enthusiasts looking for the best finishing touches for their rides. 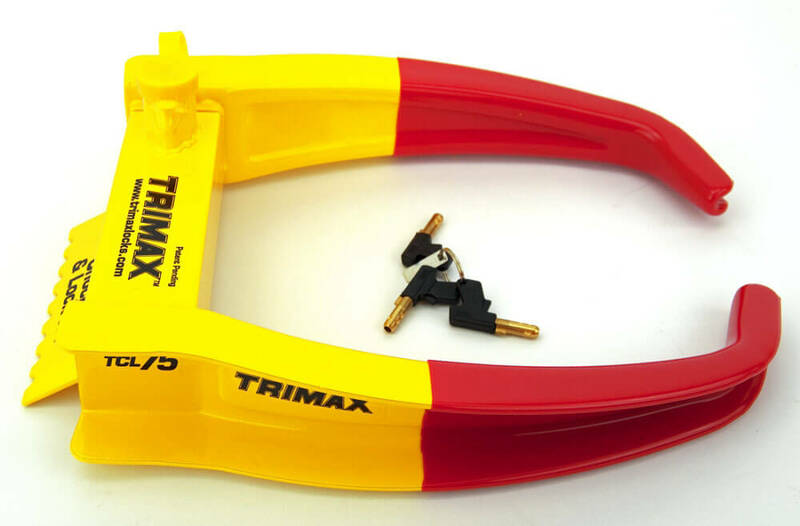 If you need a stay-put solution for your vehicle or trailer, stop into your local Performance Corner retailer and pick up Trimax’s Deluxe Wheel Chock for your application!